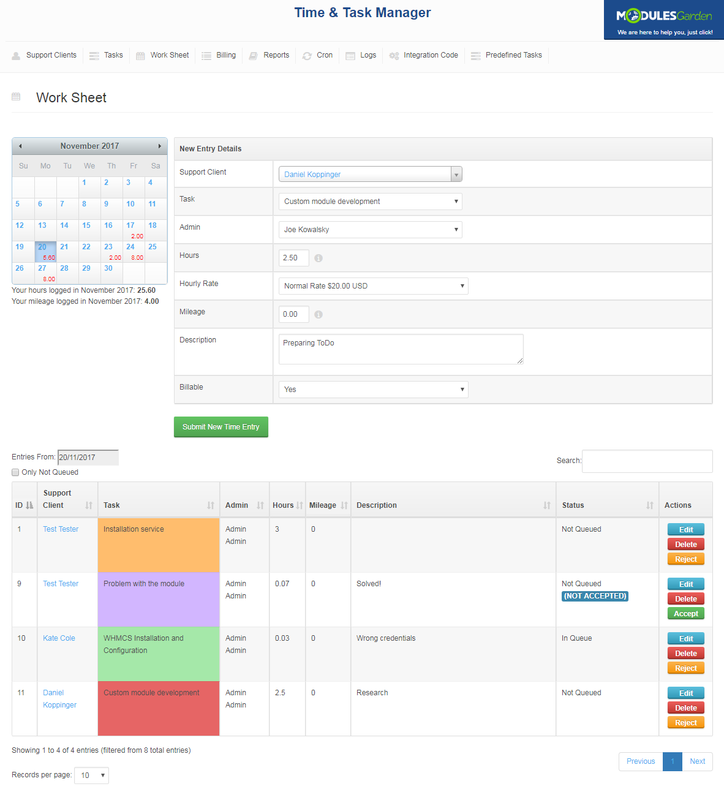 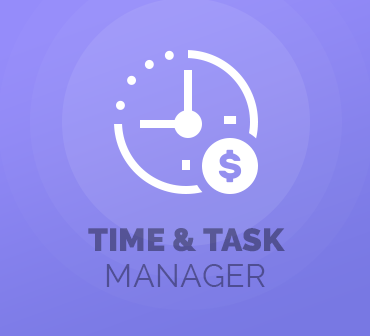 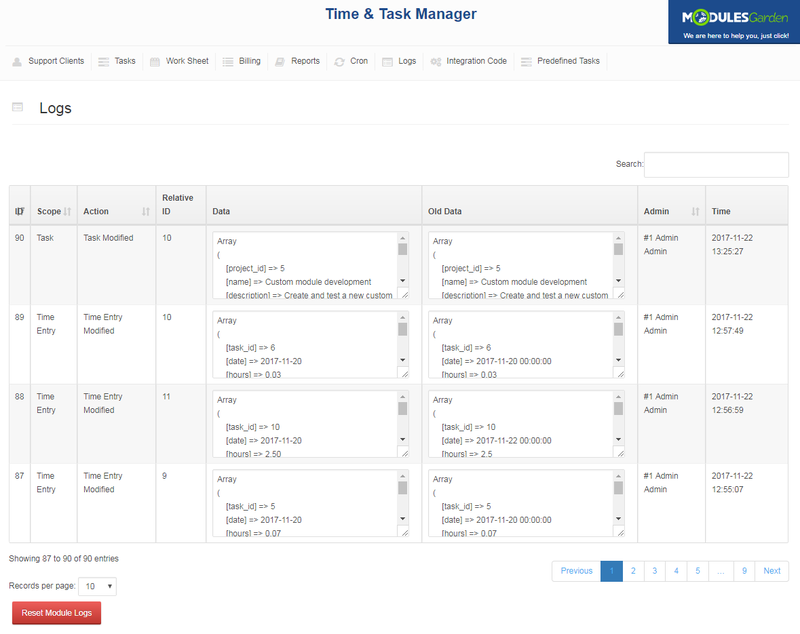 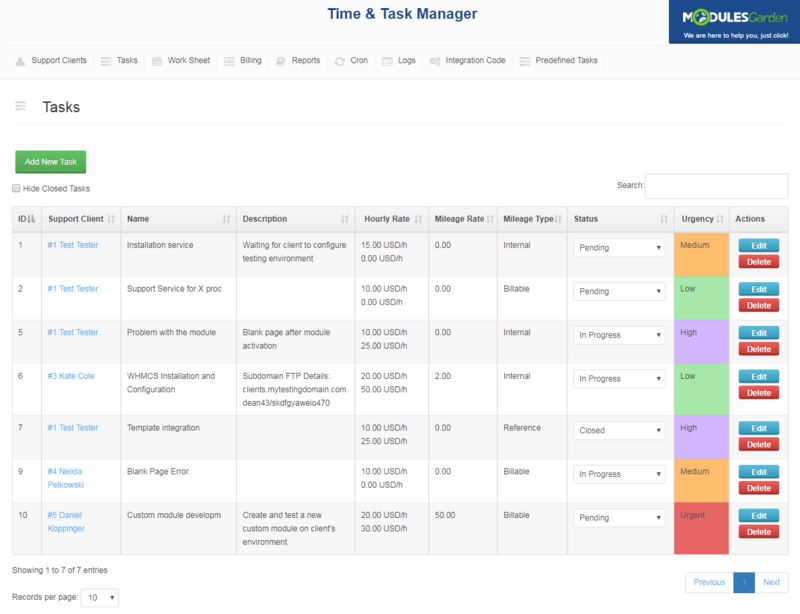 Time & Task Manager For WHMCS will allow you to add various tasks, then track their development basing on the time spent on their execution and charge your clients accordingly. 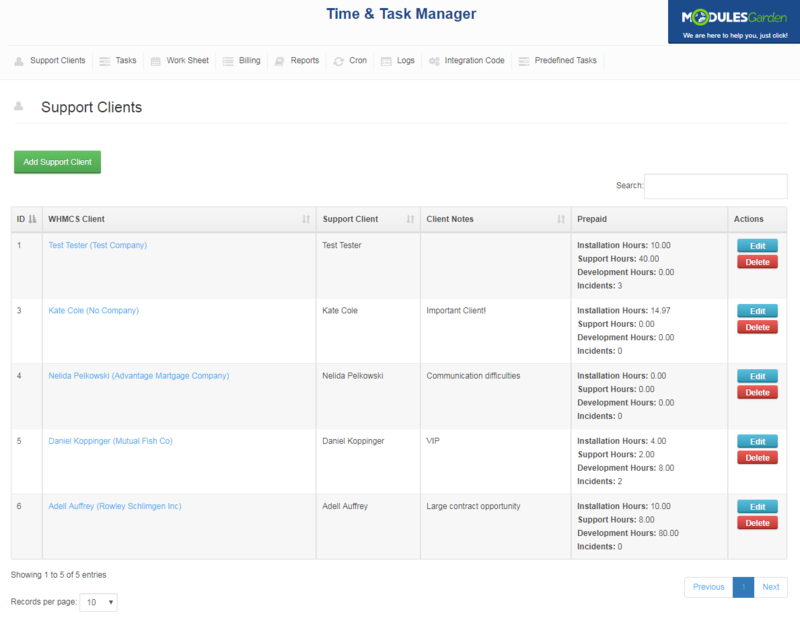 These can be, for instance, a certain number of hours required to provide tech support per month or the total time dedicated to deploying one of your services. 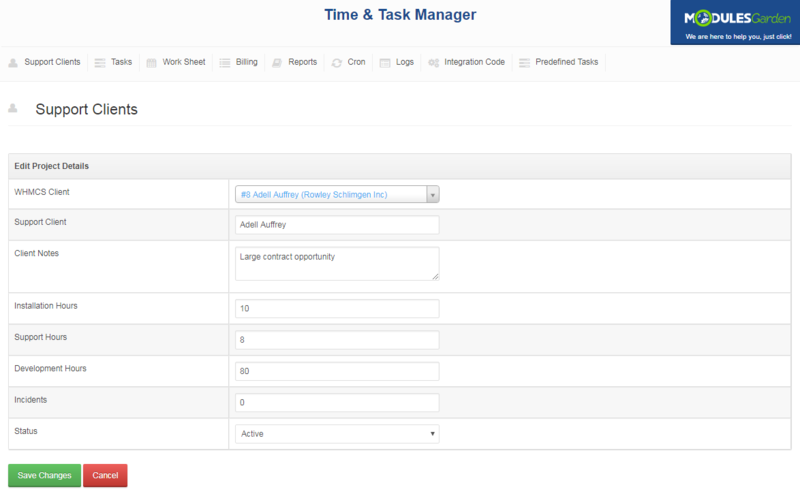 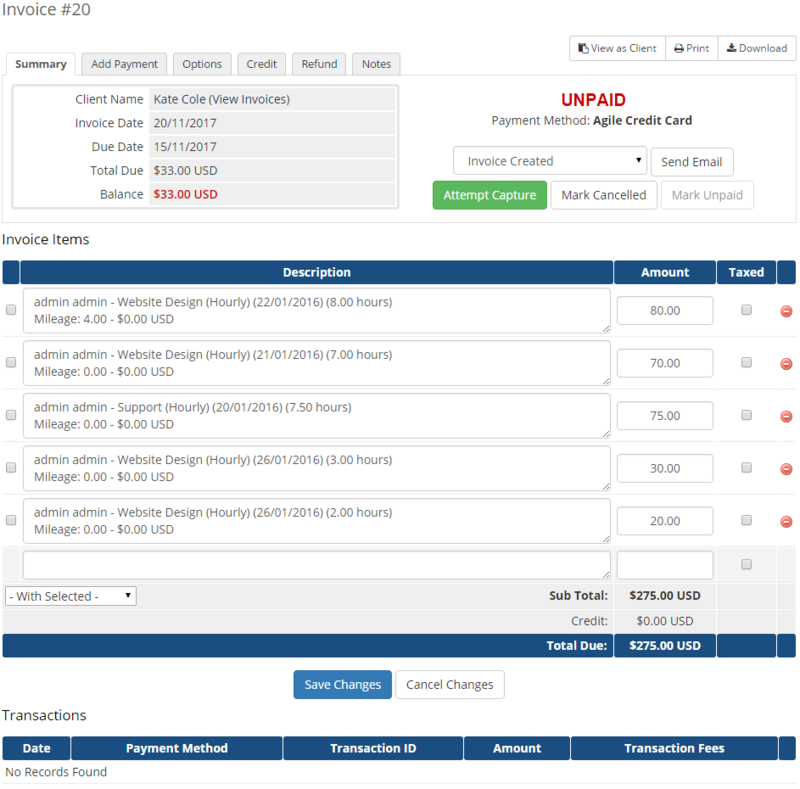 At the same time, the module will empower you to pick the time entries that should be billed, manage multiple currencies, and generate invoices - either automatically or manually on demand. 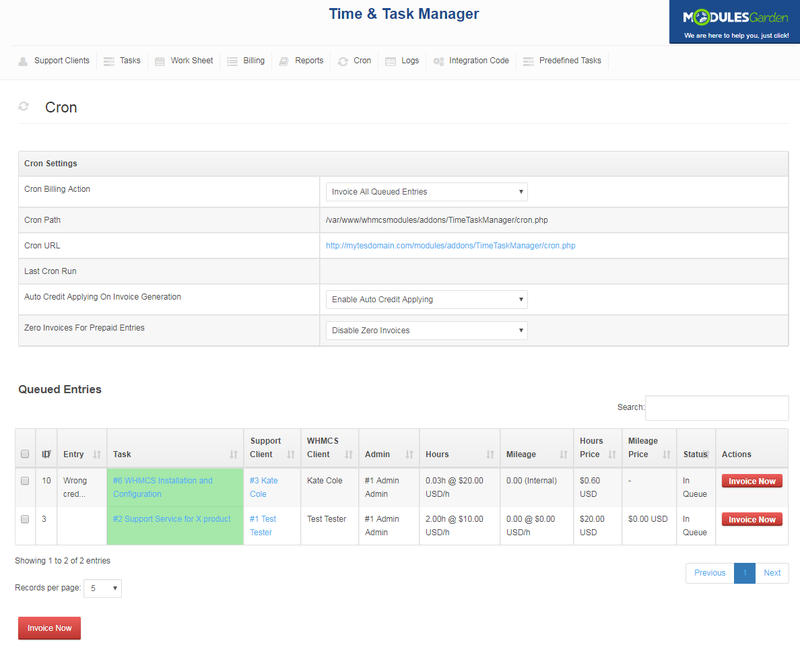 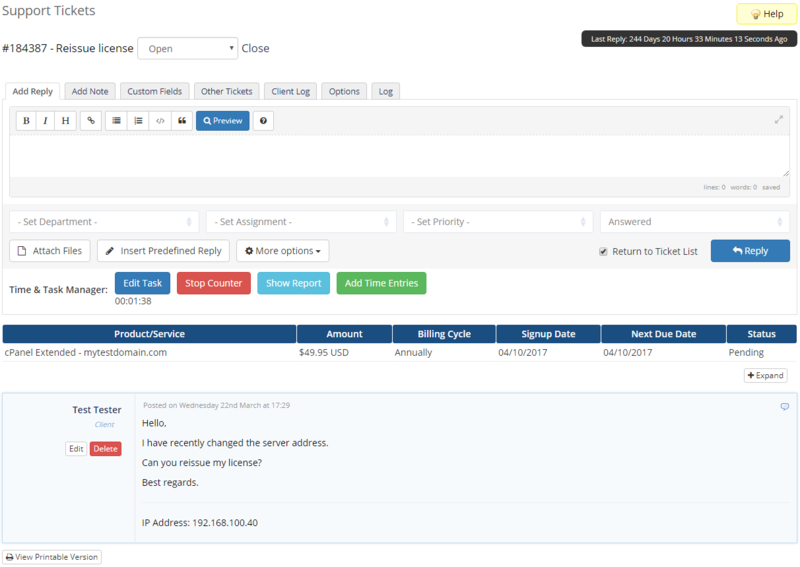 Time & Task Manager For WHMCS creates an attractive opportunity for your audience to order preconfigured products with a specified set of hours that can be used towards any of your services. 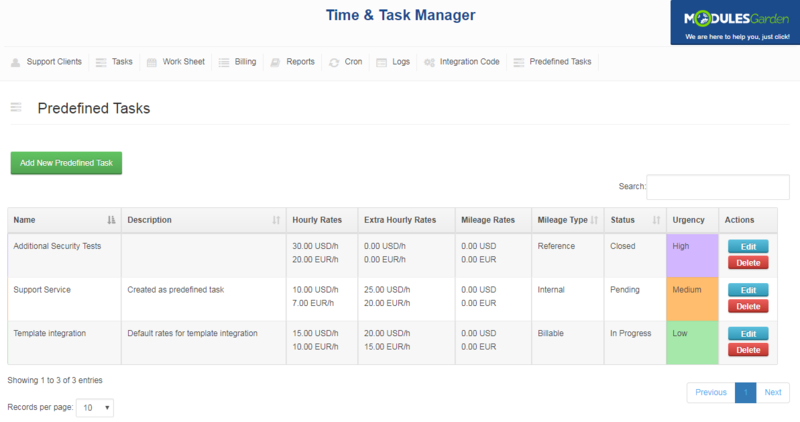 Once acquired, customers will be able to monitor the total hour balance and the current status of each performed task directly in your client area. 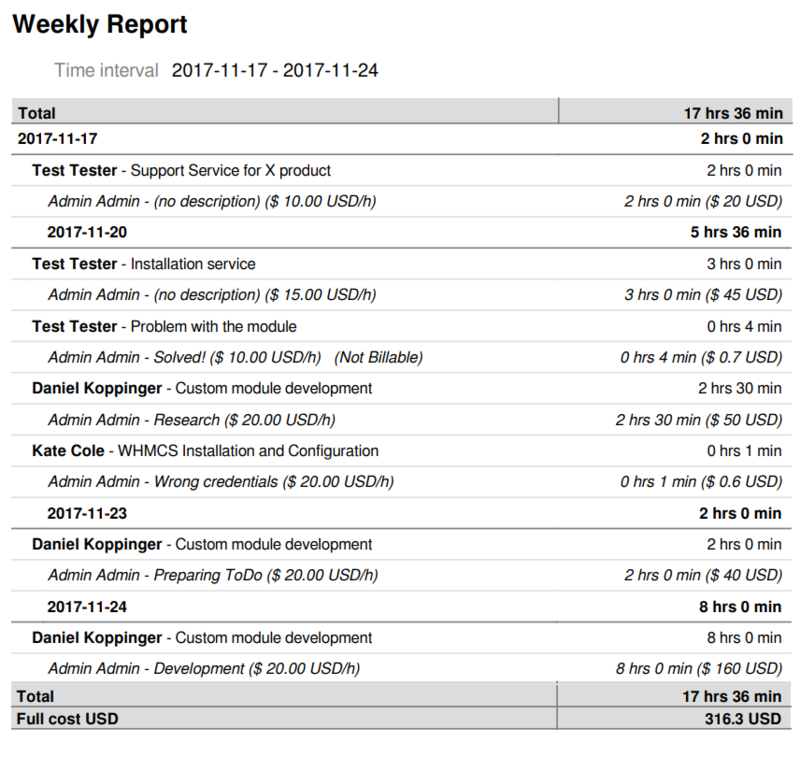 Together with it, you will be able to offer prepaid hours and incidents such as access to premium support. 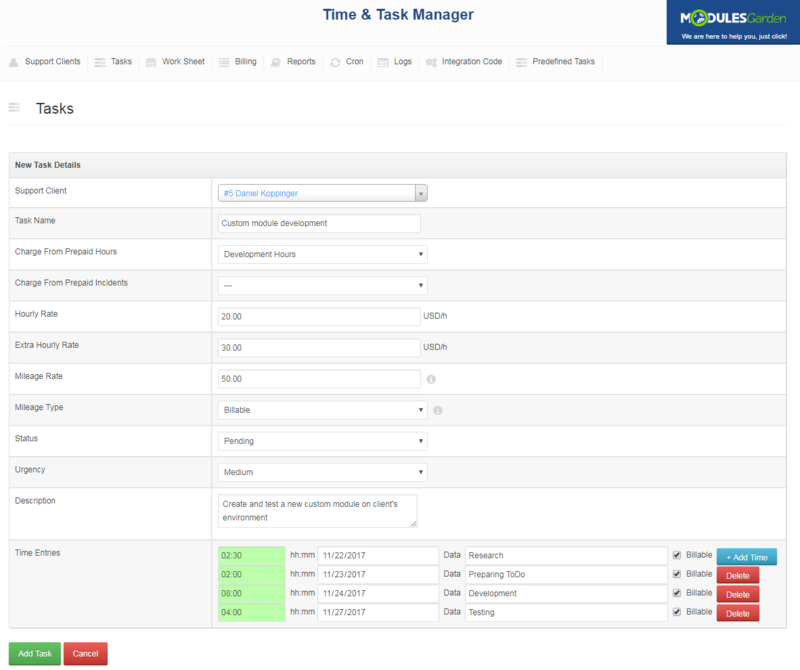 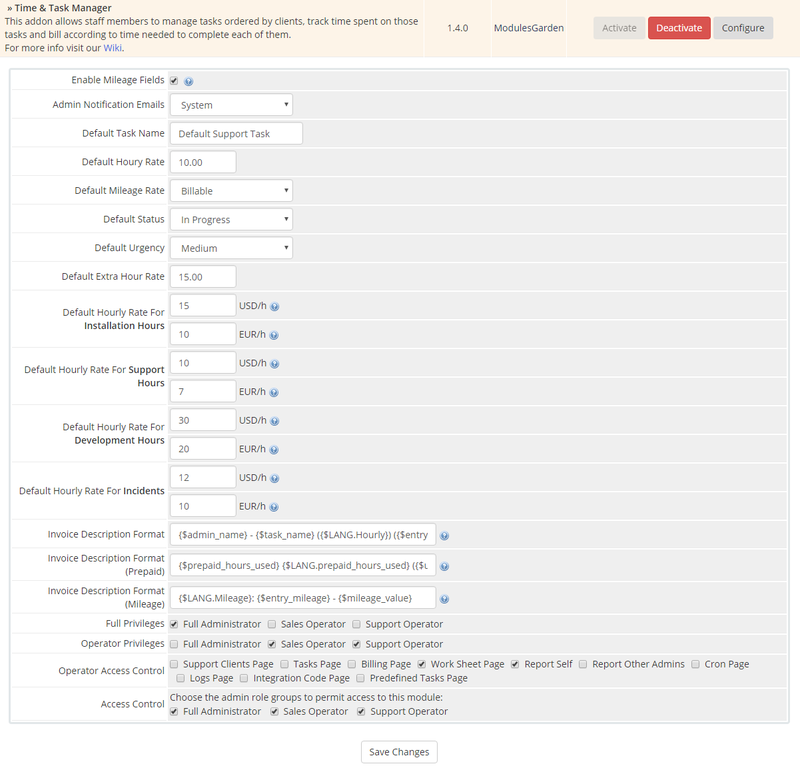 The module provides several automation mechanisms, plus the option to create a default task with predefined attributes, to streamline the work coordination in full measure. 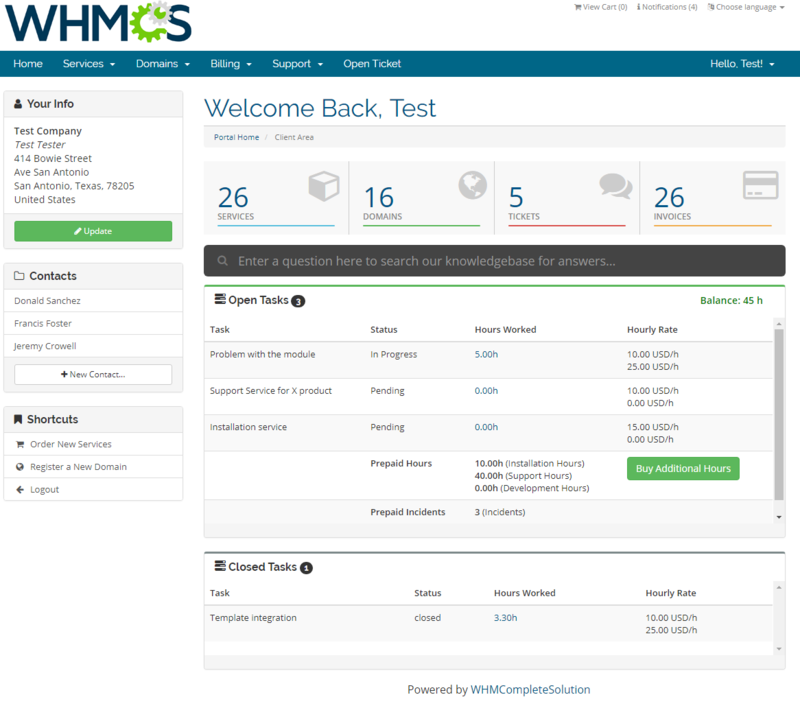 Achieve a completely new, ultramodern standard of business administration. 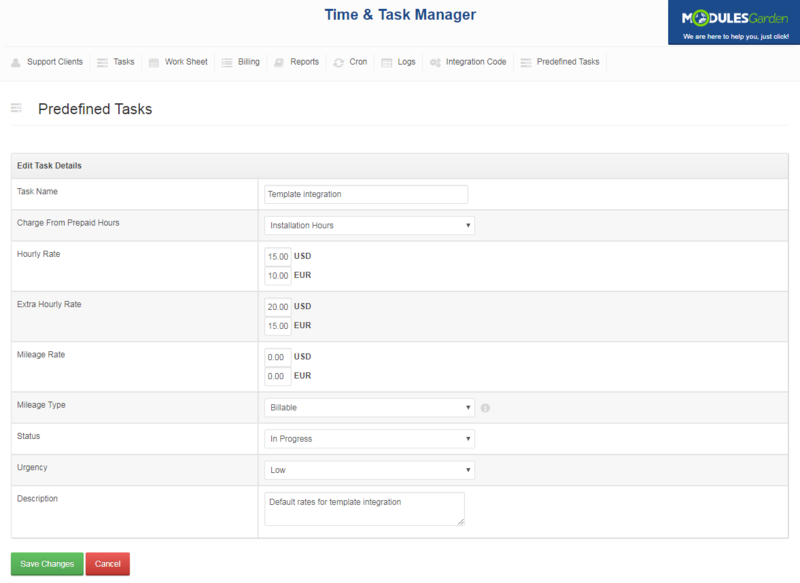 Snap up Time & Task Manager For WHMCS to adopt the winning formula for handling scheduled tasks and collecting customer payments! 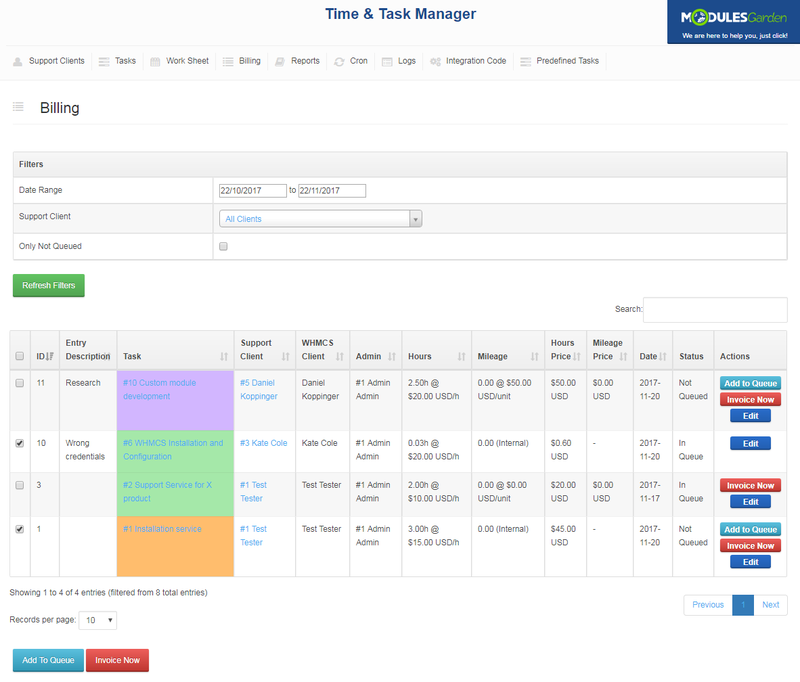 Great product, been using it for over 2 years and very happy with all the features and reporting.